You are here: Home » Bert & Ernie take you to Sesame Street, with your SatNav. Bert & Ernie take you to Sesame Street, with your SatNav. Car journeys, they’re long, they’re boring and there’s never anything good on the radio unless you really like Abba, and I’m pretty sure you’re sick of playing the same CD’s over and over and OVER again, so there’s a simple solution! instead of having the original voice on your SatNav, the little nagging woman who sounds like a robot, why not buy a new one to make your car journeys that little bit more interesting. 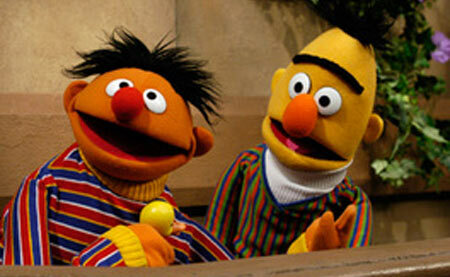 Bert & Ernie from everyones favourite children’s show, Sesame Street. There’s a whole variety of voices from the Star Wars franchise to guide you to Aldeeran. Bugs Bunny wont let you take a left at Albuquerque. And last but not least, my favourite voice to guide me home safely, Snoop Dogg. ← Sonisphere Cancellation Causes Misery for Irish Metal fans.